It’s time to check out a new Nissan Murano in El Paso. With a laundry list of amazing comfort, tech and safety features, the Murano is an incredible vehicle created from the ground up for driver enjoyment. Whether your goal is to have a family vehicle that looks amazing, yet is packed with space, or a daily driver that is economical and fun to drive, the Murano has you covered. 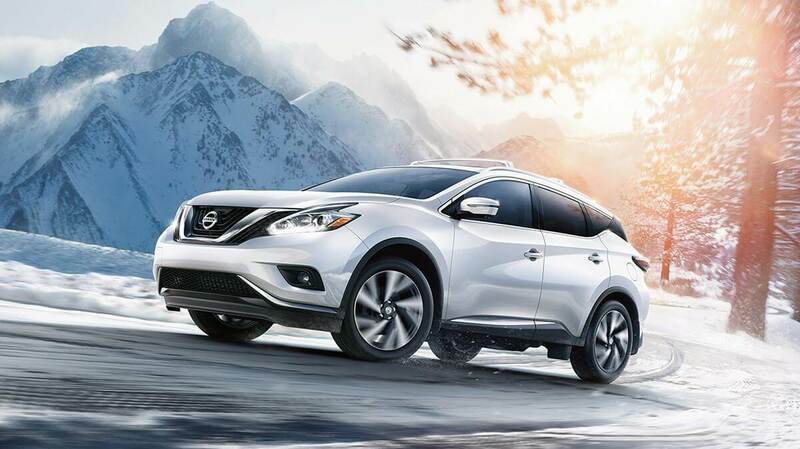 The Nissan Murano is the halo vehicle for Nissan’s full range of crossovers and SUVs. It’s available in a number of models that take consumers above and beyond the already well-equipped standard features, letting you customize the perfect drive with all of the bells and whistles you may be looking for. The Murano line is so much more than just a means of transportation. It’s about comfort, safety, integrated technology, and convenience. In those and many other categories, the Murano comes in head and shoulders above other crossovers and SUVs. Some say looks aren’t everything. Sure, that’s true, but a vehicle with a bold, sleek look is definitely more fun to drive than a boxy, hard-angled vehicle. In the case of the Murano, the streamlined appearance is more than just cosmetic; it allows for a smooth ride, easy handling and great fuel efficiency. Featuring a V-motion front end, a unique “floating roof,” and the signature boomerang LED lights, the Murano’s exterior shows the direction that Nissan has been traveling in terms of design over the last few years. Once you open the door and get inside, you’ll notice the incredible attention to detail. The Murano gives the feel of being in an upscale lounge. Comfort is at the top of the list in this design with Zero Gravity front and outboard rear seating, large windows and a panoramic moonroof. You’ll never feel cooped up and cramped in the Murano. While the crossover and SUV designs of the past often felt boxy and rugged, the Murano line stands out with a sculpted design. It’s just a little bit more luxury and detail compared to the previously utility-based concept. “Elevate Your Experience” is a Nissan branded phrase, and it’s relevant here; the designers referred to it when creating the interior and exterior of the Murano. They pushed for never-before-utilized aerodynamics to erase the heavy, boxy look that most consumers have in mind when they think of crossovers or SUVs. With glass and flowing lines, the Murano gives passengers a feel of weightlessness and comfort, as well as space and light. Strong curvature of the rear fender, paired with wider and longer dimensions, enhance aerodynamics without compromising height and stance. This vehicle line is both elegant and rugged. Technology plays a huge role in our everyday lives. The Nissan Murano helps drivers connect with their technology in a safe manner. Whether you need navigation, music, text messaging or a phone call, you can easily and safely do all of these hands-free and without stopping the vehicle. Nissan Advanced Drive-Assist display with high-resolution color display, Apple CarPlay, Android Auto, SiriusXM Satellite Radio and NissanConnect Services technology all work together to keep you connected. But the biggest goal is to get you where you want to go safely without disconnecting you from the world. The Murano also gives you collision notifications, emergency calls, and stolen vehicle locator access, as well as remote start/stop lock/unlock power with optional horn and lights. Customizable valet, curfew, and speed alerts keep you in touch and in tune, while dealer service maintenance alerts let you know when it’s time to visit the shop before you break down. Passengers will also enjoy rear USB ports, rear charging areas, and the sheer excess of storage and space for comfort. One of the main benefits of an SUV is the large amount of cargo space. The Murano, even with the rear seats up, can store four large suitcases. Once you fold the rear seats flat, you more than double that space. There will be no problem loading up to take the family camping or hauling the kids to sporting events. Bring along all the equipment, bags, clothes, and pets you need to bring. The Murano line is robust; most models feature an advanced 3.5-liter V6 DOHC that gives an incredible amount of horsepower and torque. Combined with the advanced Xtronic transmission in most packages, you get a lightning fast response, smooth acceleration, and enormous amounts of power. When you need to pass, the responsive Xtronic shoots you forward quickly and easily before resuming normal RPMs without rough changes, bogging, or jerking. Fuel efficiency is almost an oxymoron for most existing crossovers and SUVs, but the Murano excels here, too. The aerodynamics and efficient engine and transmission make it almost as fuel efficient as some sedans. Ready to shop for your new Nissan Murano in El Paso, Texas? Reach out to Casa Nissan to schedule a test drive today.